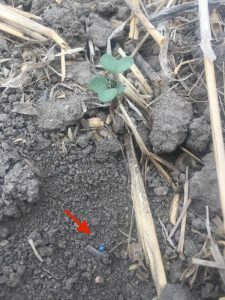 Five questions (including two survey questions) on observations and actions when scouting in the first week or so after seeding. 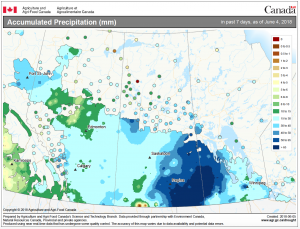 Most areas of the Prairies got some rain over the past week, according to this AAFC map. Blackleg decision: When does a fungicide pay? 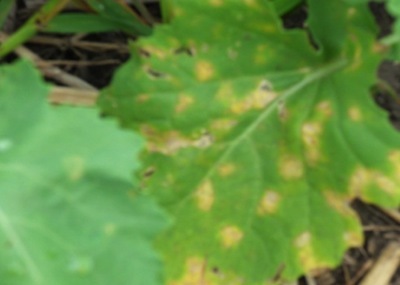 Blackleg infection at or just after the cotyledon stage is the mostly likely to cause any significant yield loss. If fungicide to control blackleg is to provide any economic benefit, it has to be applied very early in the season and the crop has to be at risk of early and fairly widespread infection. With good management, including a two-year break between canola crops, growing blackleg resistant varieties and rotation of R genes, fungicide is not necessary. In that situation, fungicide to reduce blackleg losses does not usually provide an economic return. Scouting 7 to 21 days after seeding: What to look for? With warm soils, decent moisture and 1” seeding depth, emergence can occur about a week after seeding. If emergence is slow or patchy, scout to find out why. 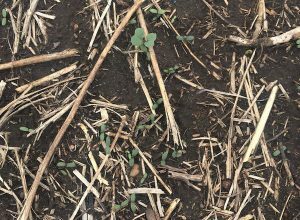 The first 21 days are critical to a successful canola crop. 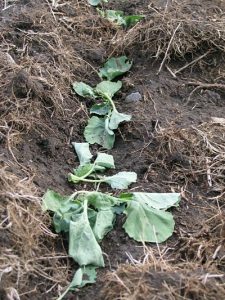 Reader question: Will plants survive flea beetle stem feeding? 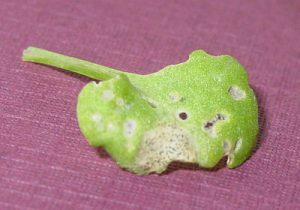 If the tissue underneath the bite is still living, the seedling will likely survive as long as (1) the stem can still bear the weight of the cotyledons and first leaves, (2) the stem is not to subjected to more feeding, and (3) weather conditions are good for plant growth. Photographs can be a valuable diagnostic tool, but they have to be in focus, taken from various angles and come with details on field conditions and location. At Alberta canolaPALOOZA, June 27 at Lacombe, farmer Brian Tischler will demonstrate his AgraBot. The DIY autonomous tractor uses free and open source software called AgOpenGPS. At canolaPALOOZA, Tischler will show how to set up a field and then send the tractor to complete the field on its own.